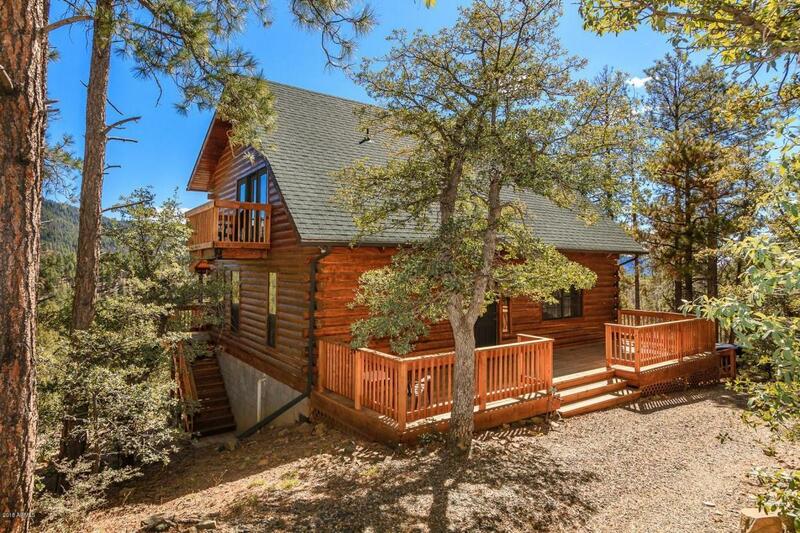 Exquisite classic log cabin in the woods, 15 minutes to downtown Prescott!!! Enjoy cool winter evenings by the wood burning stove roasting marshmallows w/ loved ones. Great room makes entertaining guests a breeze. Relax in the tranquil master suite w/ private access to deck & unwind in the deep soaker tub after a long day. Loft & bonus game room allow for endless use possibilities. Everything was done w/ high quality craftsmanship including vaulted ceilings & three redwood decks w/ panoramic views of the Bradshaw Mountain range making this home ready for your all-season enjoyment! 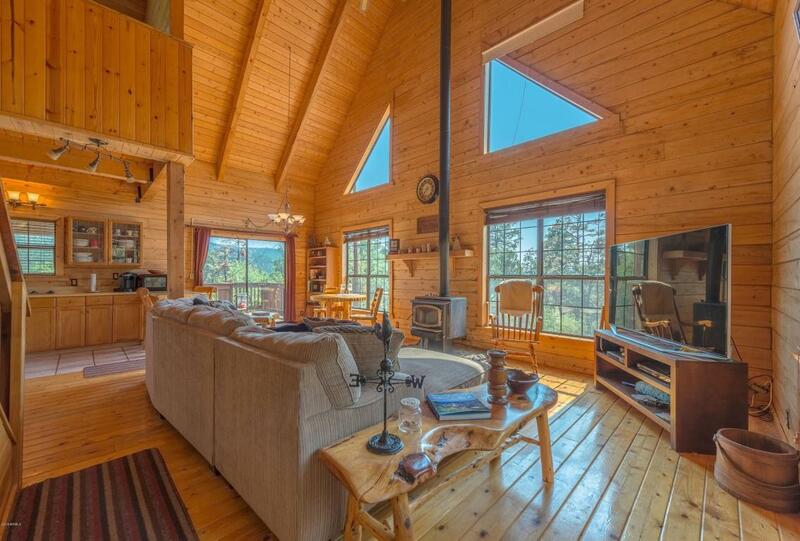 Home borders the National Forest & is a rare find providing seclusion, yet close enough to enjoy the amenities of town. 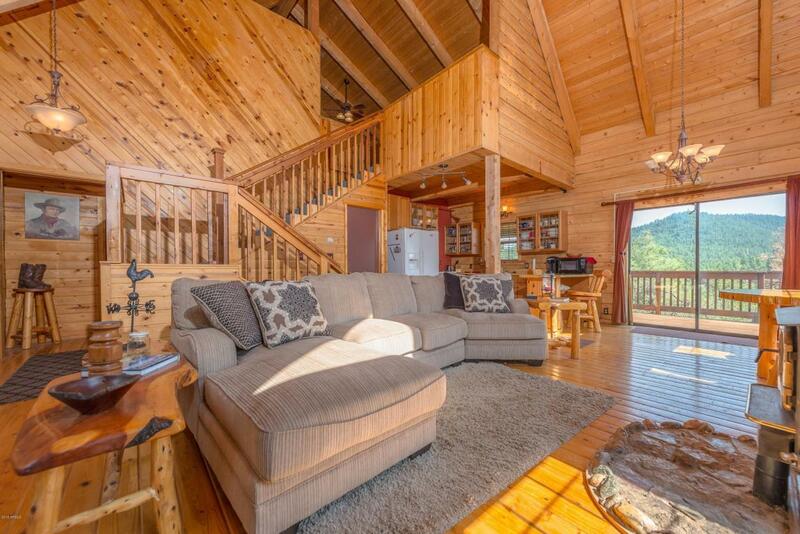 This spectacular cabin will not last long. Schedule your showing while you still can! 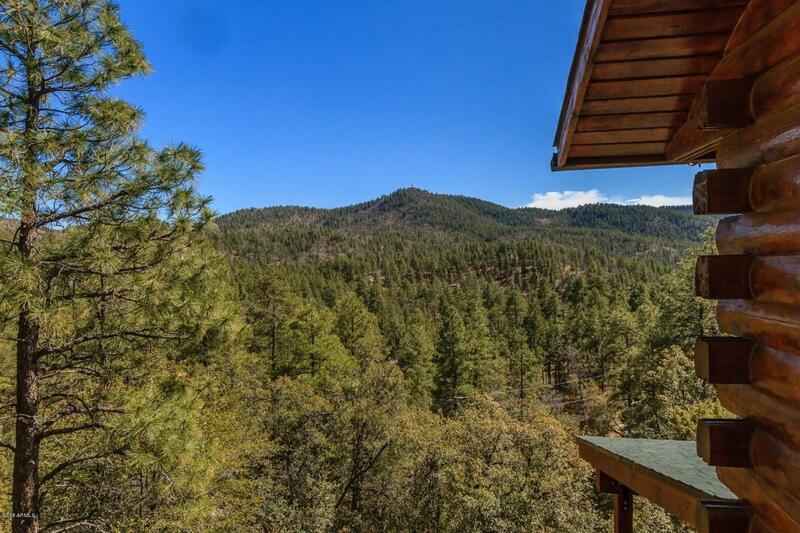 Listing courtesy of Keller Williams Northern Az.